Jim Swain’s novels have entertained me for years…especially his Tony Valentine series. 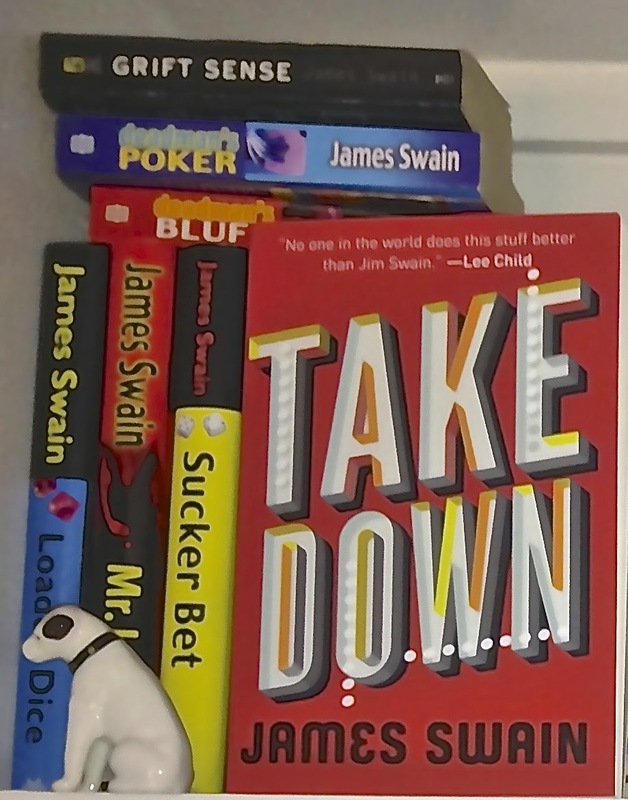 In “Take Down,” Jim returns to the world of the gambling/casino scams and it’s big fun. Billy Cunningham is a captivating casino scam artist…who truly puts the art in casino scam artist. He’s a raconteur, a rascal, well prepared and always has a Plan B.
Billy has had a successful career in Las Vegas, and the gaming commission will stop at nothing to put him away. No matter, Billy has planned an intricate scheme to relieve a casino of $8,000,000.00. His crew has all the right pieces and the game’s afoot. The plot moves rapidly and any impediment that could arise…does. As the obstacles appear, Billy’s brilliant criminal mind finds a work-around. Billy lives by the “honor among thieves” code, and that noble quality is tested on many occasions as the gaming commission attempts to squeeze him. There are numerous capers within the caper. The characters, infamous and otherwise are colorful and eclectic. Jim tells a great tale, as usual. In the final pages, there are signs that there will be more to come for Billy and his crew. That’s great news!